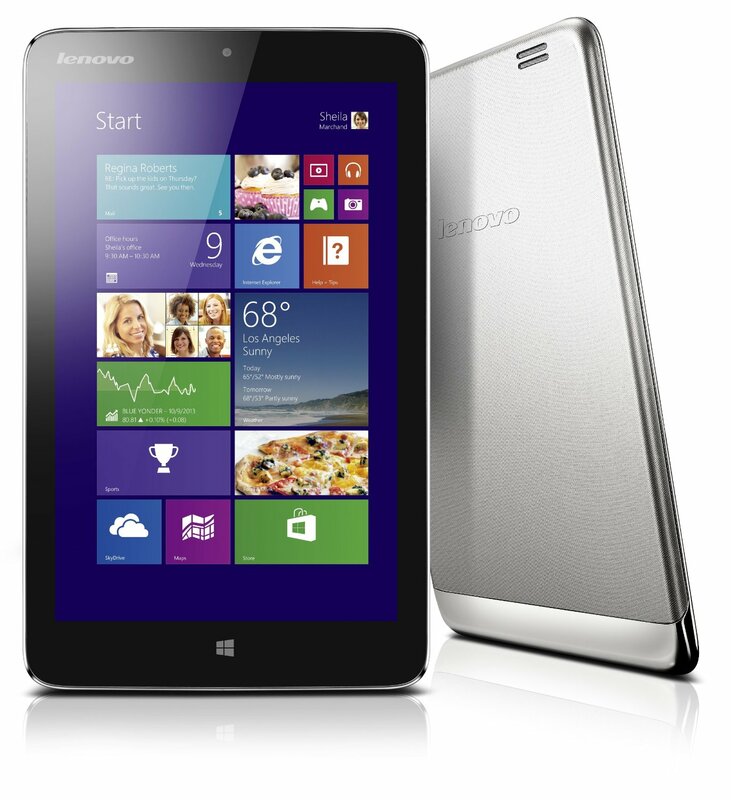 With a price tag of around £160/$260, the Lenovo MiiX 2 is a full featured Windows 8.1 tablet (not a cut down RT version) and it might be one of the best buys for a boater. 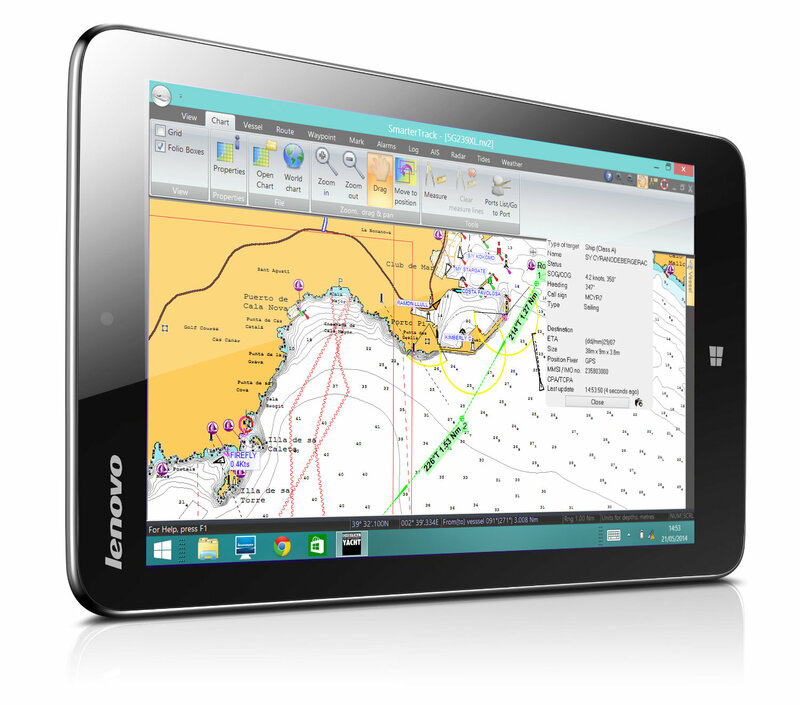 As its operating system is regular Windows 8.1, standard marine PC software runs as it would on a notebook or dedicated PC but you get the benefit of portability, a built in GPS and all the other features this amazing device offers. The new Windows operating system has had a hard time in the mainstream consumer press but actually, once mastered (we’re all old hands at XP! ), it brings alot of extra features. I guess it’s like any learning curve, but once cracked it’s very stable and easy to use. We bought a MiiX to test our SmarterTrack software on a mobie platform. 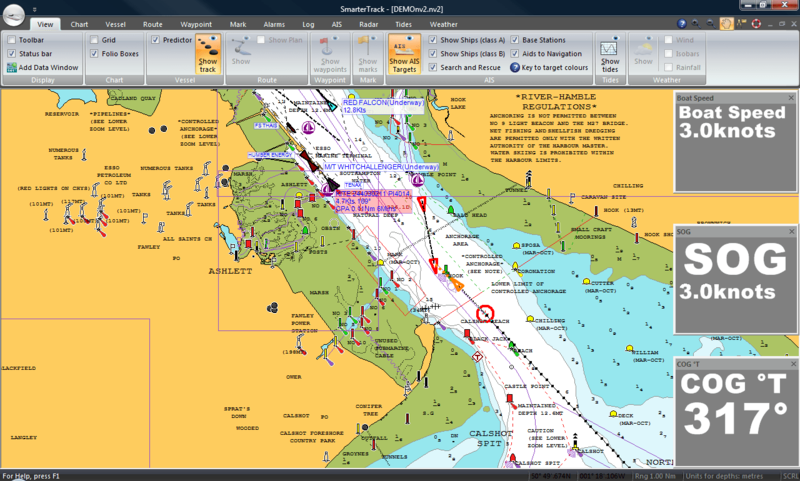 SmarterTrack is a sophisticated, Navionic’s based PC chart plotter system which offers real time navigation, NMEA interfaces, tracking, waypoints, routes, weather overlays, AIS and much more. It costs £250/$399 and has a unique feature in that you can copy Navionic’s charts on cartridge format to the PC’s hard drive and licence them to SmarterTrack at no extra charge. That means you can use the same Navionic’s cartridge in your Simrad, Lowrance, Raymarine etc plotter to save on duplicated cartography costs. We reckon many users will be using the tablet as part of their boat’s integrated navigation system so there’s a good argument for fitting a Digital Yacht NMEA to wifi device so you can use a wifi link to the boats GPS, instrument and navigation data. Our WLN10, iAIS, NavLink and iNavHub products can all support this protocol and it’s the best solution – saving on battery life for the tablet and ensuring you’ve good accurate GPS data even when below decks as you’re not reliant on the tablet’s internal GPS. SmarterTrack supports this TCP/IP wifi feed too. However, we appreciate there’s a market for a totally portable solution. Here’s how to use the internal GPS on the tablet. The problem is that many tablets now feature GNSS devices, which provide location data via the Windows Location Platform. Unfortunately, they do not provide that data via a traditional com port, so most desktop apps simply will not work. That’s where a special software application called Localizer comes in – click here to go to their website. So for about £450/$660 we now have a portable 8″ high resolution (compare 1280 x 900 to a traditional plotter) GPS chart plotter system which is AIS compatible via wifi or USB and can share Navionic’s charts with many popular dedicated chart plotters. Looking at the maths, we can see this working – fit a small chart plotter in the cockpit or at the helm and feed NMEA data to a wireless server and use this tablet for the 2nd station. SmarterTrack software offers alot of features a regular chart plotter can’t support such as weather overlays, a sophisticated AIS overlay with CPA/TCPA alarms, log books, printing routes and more.